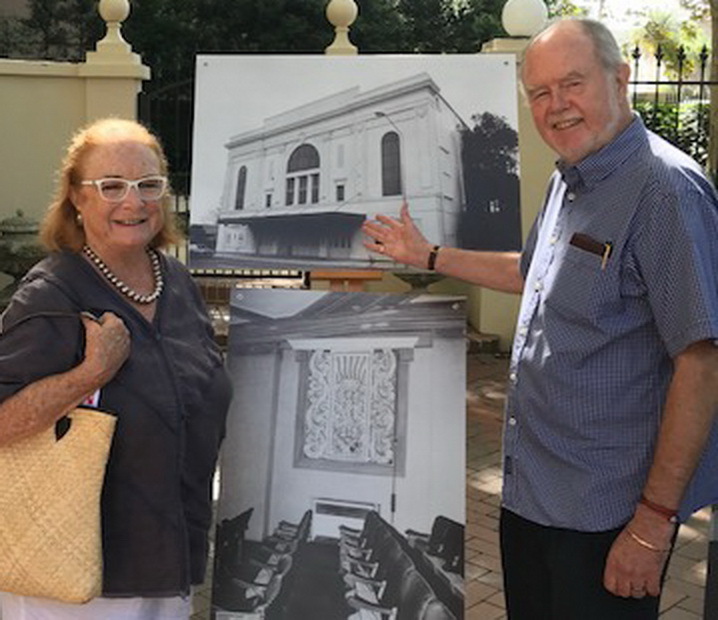 On Monday 19 March a plaque was unveiled at the site of the former Wintergarden Cinema in Rose Bay, Sydney, to recognise the place where talkies were first screened in a Sydney suburb. National President Tim Read was invited to the event, along with other Pioneers. 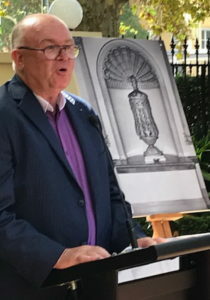 Woollahra Council initiated the project, and Councillor Anthony Marano provided some background and unveiled the plaque. Pioneer and film historian Ian Hansen also spoke. 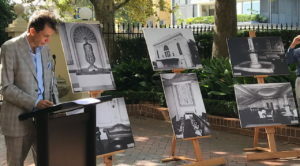 Since the late 1980’s the site has been a block of luxury harbour-front apartments, and many current residents came along to find out more about the history and heritage. That first screening took place on 10 June 1929, with films supplied by J.C. Williamsons – some Williamson family members attended the unveiling. 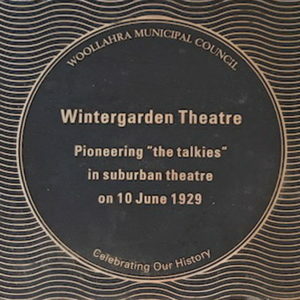 Industry recognition of the significance of the Wintergarden’s screening on 10 June 1929 can be measured by the attendee list. This included the Governor of New South Wales Sir Dudley de Chair, and a large contingent from the from the New South Wales Ministry. The screening had a further significance for the local industry: also on show was the Australian-engineered sound system, the Raycophone, installed and tested at the Wintergarden and subjected to considerable industry scrutiny in the days leading up to the gala screening. The system had been developed by Ray Allsopp, a local sound engineer. Ray had forged his connections with the Wintergarden through his own position at radio station 2BL, which regularly featured the Wintergarden’s orchestra in evening musical programs. The theatre was sufficient to accommodate 2,000 patrons. With interior details such as an indoor fountain and detailed plaster work. The landmark was even camouflaged during WWII, lest it present too convenient a target for enemy shells. In 1967, the Wintergarden Theatre became home to the Sydney Film Festival before the Festival moved to Sydney’s State Theatre in 1974. At both venues the Sydney Film Festival was under the leadership of Cinema Pioneer David Stratton. As public taste and pastimes changed however and as television and eventually the household video recorder made an impact, together with the cost of maintaining a large and ageing building, the theatre was eventually demolished in 1987 and an era in cinematic history came to a close.